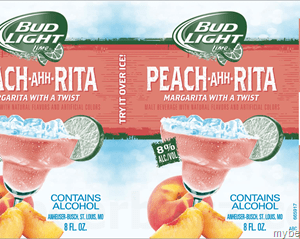 Bud Light’s family of Ritas just keeps on growing and growing with more fruity variations joining in on the fun. With the summer and the warm weather being here, Anheuser Busch released another great flavor which is available for a limited time only – the Bud Light Peach-A-Rita. Among the many tropical fruits, peaches definitely stand out in being luscious and delectable. They are not just delicious, they are also refreshing and has a distinct mild after taste which is both sweet and tangy. It is the perfect taste for the summer and spring season. Below are the latest Bud Light Peach-A-Rita prices. The Peach-A-Rita will only be available until August 2017 because it is one of Anheuser Busch’s limited edition drinks for the warm weather fun. Do not miss out on trying this great combination of delectable peaches with a fresh margarita twist in a can. It is perfect for you and your friends’ bonding moments at the beach or in a fun summer party. It is well balanced and easy to drink, so you do not even need a party or a company to enjoy one. You can pop your own can at home while watching the television or just sitting on the porch. It is also a great way to relax and unwind before you head off to bed. If you are worried about the calories, it is a little lower than the original Lime-A-Rita which has 220 calories per 8 ounce can. Peach-A-Rita has only 195 calories per 8 ounce can, 22.8 carbohydrates and 0 grams fat. Same with the other Ritas, it is also has 8% alcohol content, so it is still recommended to drink moderately. Again, this is a limited edition drink, so if you are a fan of peaches and margaritas, then this drink is for you. Take advantage of it while it lasts. Since the Bud Light Peach-A-Rita is a special flavor for the summer and spring season, why not take it up a notch and create an even more refreshing treat? Here are some ideas that you can try. Who says popsicles are just for kids? You can also make an adult version of popsicles by pouring some Peach-A-Rita into a popsicle mold and popping them in the fridge until they set. For additional texture, you can also put some fruit cut ups or diced peaches before putting in the fridge. Just make sure that the kids will not be able to eat these alcoholic popsicles. Peaches and raspberries go well together so combining these two refreshing flavors in a cocktail drink will result to a fun and delicious summer drink. Just think of Peach Melba which is made with peaches and drizzled with raspberry puree and served over ice cream and you will be convinced. Muddle the fresh raspberries with a dash of club soda in a tall glass. Once done, add your preferred amount of ice and then pour the Peach-A-Rita until the glass is almost full. Stir well and serve. Pour all the ingredients in a blender and blend them together until smooth. If the mix is too thin, you can add more ice to make it more slushy. On the other hand, if the mix is too thick, you can add more Peach-A-Rita to make it more runny. If you add more, make sure that you blend again until you reach the desired consistency. Fill a tall glass with ice. Pour the lemon juice and orange juice and stir until combined. Pour Bud Light Peach-A-Rita until the glass is full. Top with a cherry, an orange wheel, or a mint sprig for garnish. If you have all three, you can use all for more color.